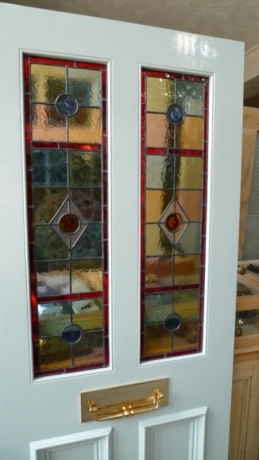 An excellent Stained Glass Front Door. incorporating hand spun rondels and background colours of pastel pinks and blues. The price excludes door fittings and painting , please contact us to discuss your requirements. 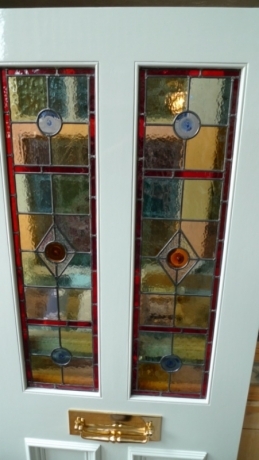 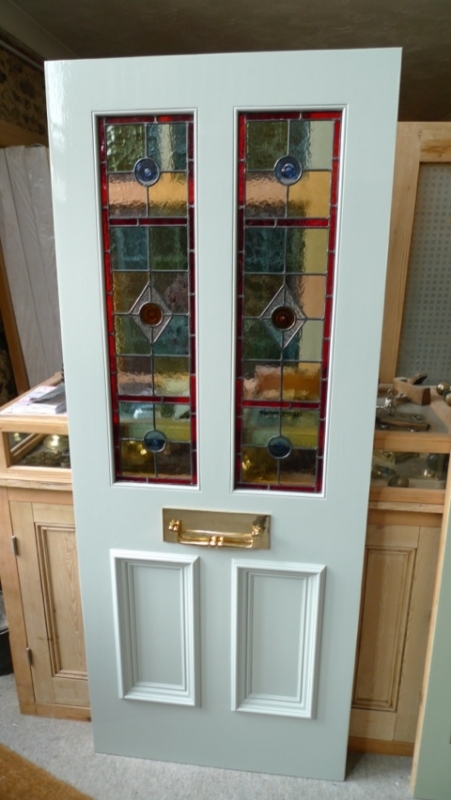 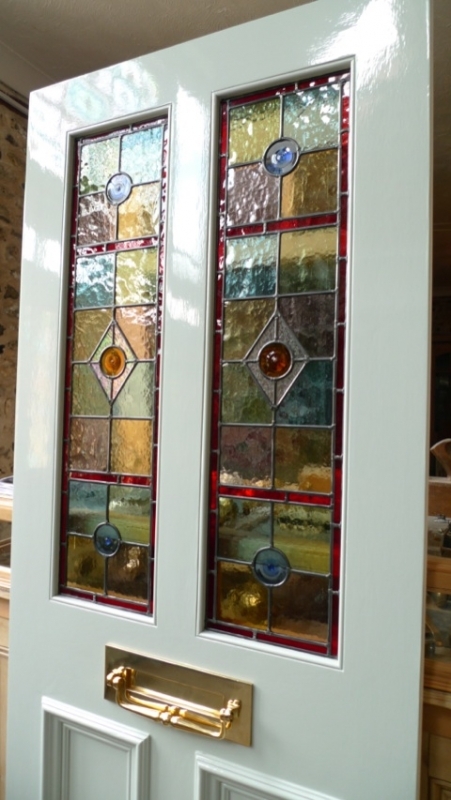 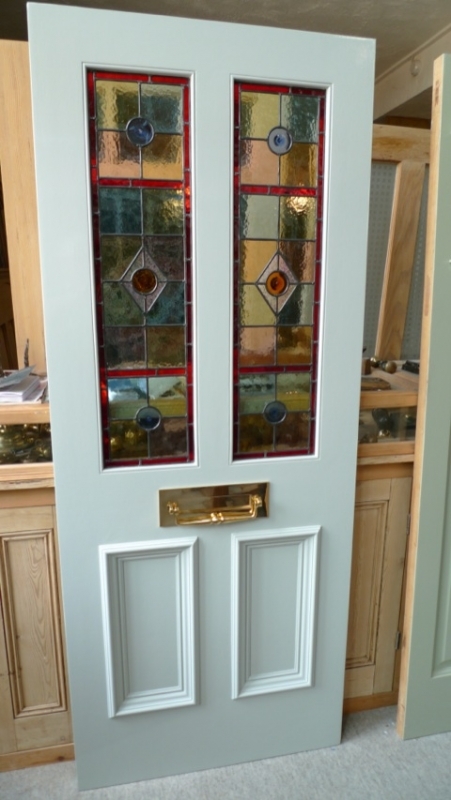 If you wish to have your door painted or varnished an extra £288.00 will be added to the price.